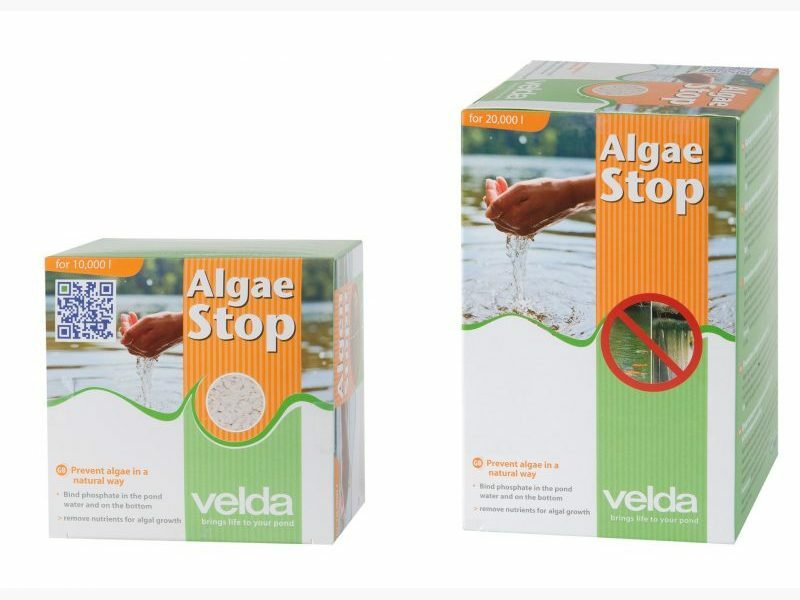 Algae Stop works effectively against both fibrous and slimy algae and floating algae (green water) in a pond. Phosphate is an important nutrient for algae. 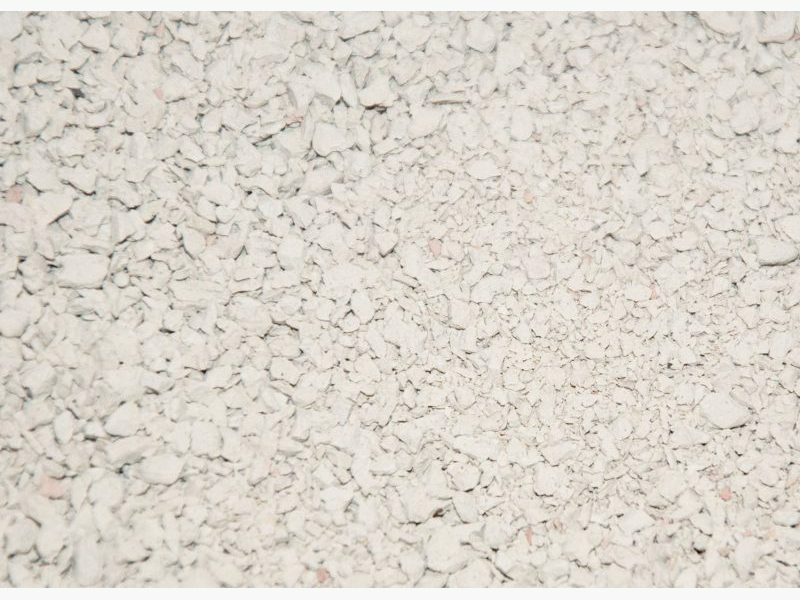 This product binds phosphate in water, as a result of which algal growth is prevented. Safe for all flora and fauna in a pond. To treat 500 litres of pond water you need 25 g (= 1 level measuring cap). If many fish or few plants are present and / or the phosphate content is > 1.0 mg/l than apply 50 g per 500 litres. The phosphate content can decrease to below 0.03 mg/l and will reduce algal growth in this way. Mix the for your pond necessary amount Algae Stop with 10 litres of water and pour it evenly over the whole water surface. The initial milky colour will disappear within a few days. Repeat this every 8 weeks to prevent algal growth. The product is no biocide. Algal growth, if algae are present, will reduce within a couple of weeks owing to the lack of nutrients. Especially in ponds with many fish and at high temperatures, lack of oxygen may occur after removing algae. Aeration or partial refreshment of water may be necessary in that case. A couple of days after applying a product against algae (algicide), phosphate is released from killed algae. Remove this phosphate with the help of Algae Stop.